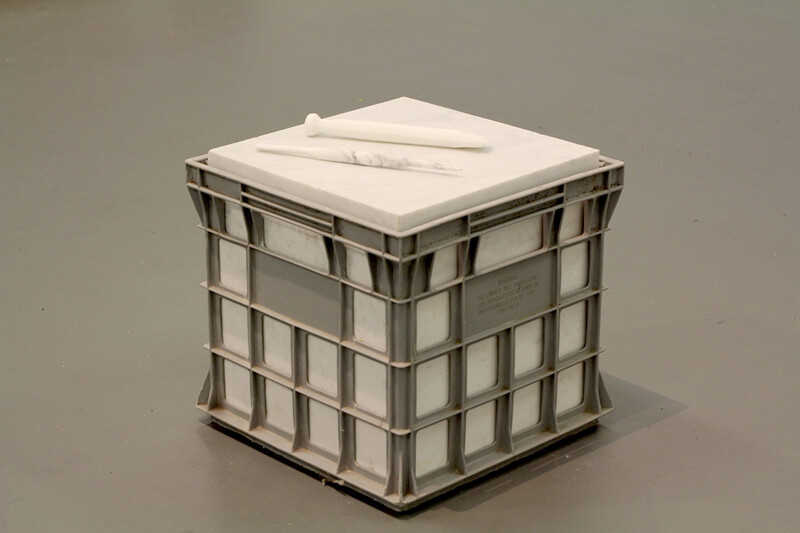 Elyse de Valle, Carrara Marble Chisel and Writing Pen on Marble in Milk Crate, 2015, Carrara Marble, Milk Crate, 340 x 340 x 340. Elyse de Valle is an emerging artist who utilises materials and site to express the conceptual concerns of her practice. De Valle’s work explores little known narratives that permit her contemplation of creative labour, memories, loss and experience. It is often a pursuit to trace and respond to social history, reflecting on how memory is encoded directly and indirectly within the built form.